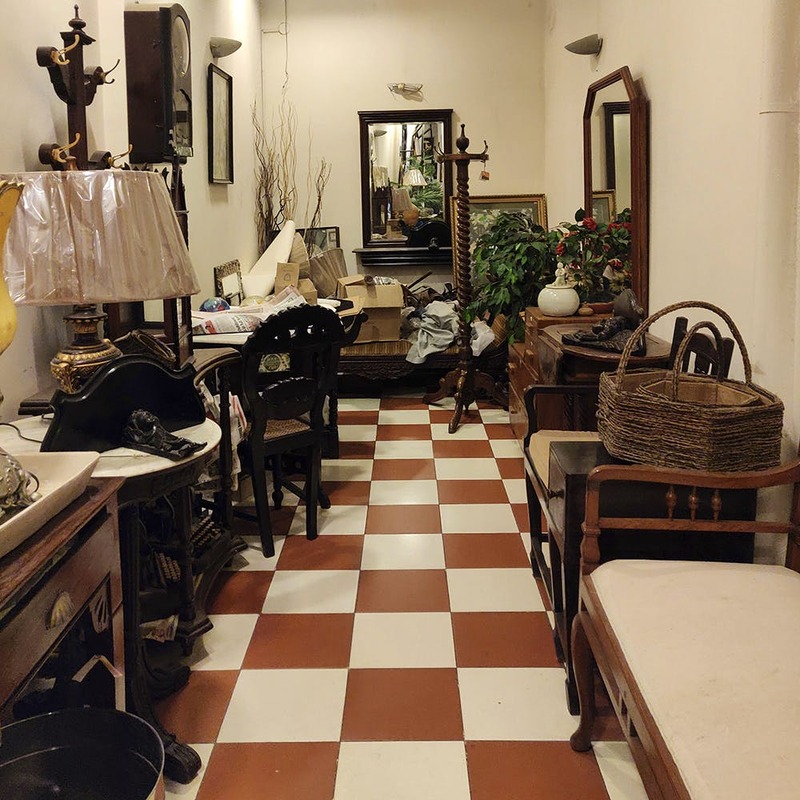 Urban Magiq in Richmond Town is your one stop shop for authentic antique furniture, be it a storage trunk, vintage marble top vanity mirror table, or Victorian side tables. The current rage in home decor is sleek and minimalist, but there’s something to be said about solid, antique furniture. Urban Magiq in Richmod Town is a family run furniture business started by the Late Allwyn D'souza at the turn of the 21st Century. Now, it's run by his wife Benita D'souza in a warehouse next to Johnson Market. If you feel a strong wave of nostalgia for the family home, or vibes from one of the Bronte sisters' books when you enter, we feel you. Housing authentic vintage furniture and decor, (and a few faithful copies) sourced from around the country, find solid Rosewood, mahogany and teak, dark varnish, brass accents, and ornate carvings on Victorian and Post-Colonial furniture. Everything from door and window frames, to vases, lampshades, coffee-chess tables and sofas (for which you'll need to provide the upholstery of your choice, if you're buying), you’re likely to find it there. Since they're sourced, there’s not much you can do if you want something matching your home aesthetic, or something that's already sold. Cots, closets, tableware (you should definitely check out the coffee table made of giant bullet casings! ), and coat stands are the back of the store. Don’t quite have the space for grand furniture? Pick up a vintage poster (we spotted Wrangler and Coke), or a typewriter! Or you could opt to pick up one of the beautiful painted glass crockery, or a piece of each to add a vintage feel to home! If you’re looking to sell your old furniture (we mean antique), they’ll be happy to purchase it from you or accept them as a donation.